Our purpose as a church is simple. Love God. Love Each Other. Love the World. We LOVE God through worshipping Him. At Grace San Marcos we create a place where all people can experience Jesus and hear His Word. We LOVE each other through building relationships. We make it a priority at Grace San Marcos to build community through small groups and events. We LOVE the world through serving others. We believe in the value of people using their God-given gifts and talents to minister Jesus to the people around them. Brian and Melissa Bauer have served in pastoral ministry since 2002. They graduated from The King’s University with a Bachelors in Theological Studies in 2002 and from Regent University in 2007 with Masters degrees in 2007 with Masters degrees in theology and Divinity. Brian has served as a youth pastor for The Church On The Way and as a worship pastor and Executive Director of Ministries for The Church On The Way Santa Clarita. He also was a campus director for The King’s University. Melissa has served in women’s ministry at The Church On The Way and the International Church Of The Foursquare Gospel. She has also worked as an Academic Director for Ignite Academy. Melissa is currently an adjunct professor. Brian and Melissa have been married since 2002 and they have four children, Hannah, David, Ava, and Nathan and a energetic puppy, Mia. They love San Diego, especially beach days as a family. Rob and Becky Granger have served in pastoral ministry since 1999. Their journey began as teaching parents for Main Place Youth, a Teen Challenge Center in Kingman, KS. They later served together in a local live-in, foster care facility. Rob graduated from the King’s University in 2011, with a Bachelors in Theological Studies. 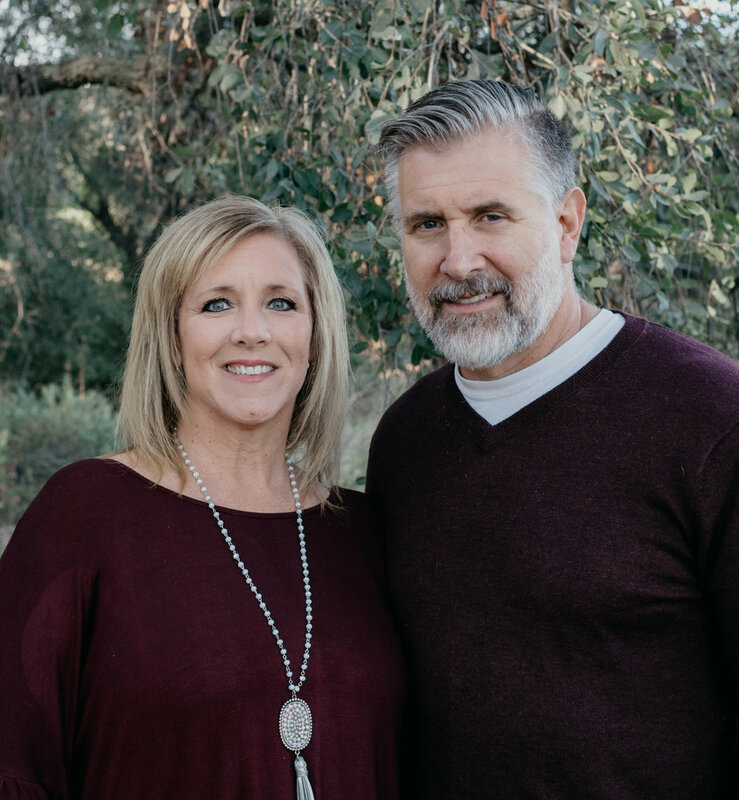 Rob and Becky have planted two churches, including most recently at Faith Harbor Church in Escondido, in 2008 where the couple served as co-pastors. They have also served as youth pastors of various churches. In 2017, sensing the call of God to merge their congregation with the congregation at Grace Church, they took a step of faith and have been blessed with what the Holy Spirit is doing. Married in 1997, Rob and Becky have three boys, Bryson, Caleb and Ethan and an Old English Bulldog, Maddie. They love time at the beach and spending time together as a family. We offer a variety of ministries designed to speak to each need for men and women. So whether you are single, college-age, a family with kids, young marrieds, or empty nesters--Grace has a place for you! Ministries are a place to connect with others, build lasting relationships, grow spiritually and serve others. Events, small groups and Bible studies provide a place for everyone to grow in their walk with God and meet new people. Your kids will love the children's ministry because they will encounter God's love while playing games, making crafts and meeting new friends. We have trained and caring volunteers that provide an atmosphere for kids to learn and grow. Sundays at 10am in the Fellowship Hall. Sundays at 1pm in the Fellowship Hall. can turn in food at any service in the foyer. the globe this Christmas. Pick up a shoebox in the foyer after service. 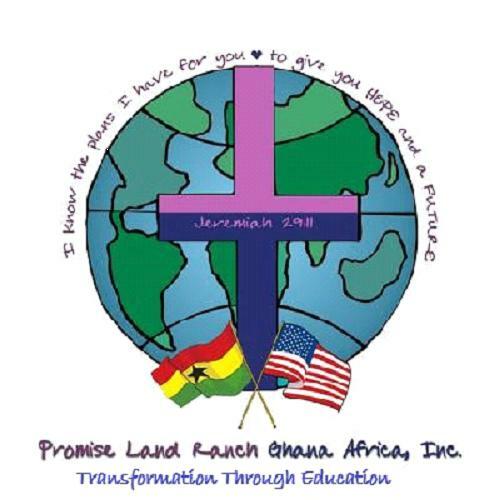 Promise Land Ranch School in Ghana, West Africa exists to provide poor children free Christian education, experience the Power of God in their lives and impact the world around them with the love of Jesus Christ. We are the first non-profit, private Kindergarten-12th grade school that provides exceptional quality education, medical care, food, clean water and clothing to the poorest of the poor. Over 300 students are enrolled! We see the next generation of Christian leaders transforming Ghana, Africa and beyond with the love of Jesus. Ladies, join us at the Grace offices for our Bible Study. Sign-Up in the lobby and talk with Kathy Ong about how to get involved. Join us to connect with other guys who are growing in Christ. If you have any questions talk with Greg Izor. Join us for the most important meeting of the week as we go deep in worship, intercession, and the Word. Each Wednesday we are giving special emphasis praying for our City, State and nation.Join us as we make an eternal difference. If you are a Jr. High or High School Student, Resolute Youth is for you. Connect with God and other students. If you have any questions talk with Brook MacMahon. Noah's Park is a Christian-based early care and education program serving children 2-5 years old, with excellence for over 15 years. Our mission is to provide the best possible early learning experience for young children and consider it a privilege to invest in their foundations of faith, social development and academics. In addition to growing their minds our program seeks to grow their hearts as they experience the love of God in an age-appropriate, non-doctrinal way. *Children have daily worship times and weekly chapel services. *Children receive healthy, organic, balanced meals and snacks. *Children have outside play time at Grace Park and the playground. *Children receive age-appropriate curriculum and daily crafts. *Children are taught responsibility within their class structure. *Children are exposed to music with songs and instruments. *Children can access a library in each classroom to encourage a love of reading. Send Me Information About . . .
At Grace Church we believe in putting God first in every area of our lives - with our time, our talents, and our resources. We believe that God wants us to be successful and that He wants to give us the “desires of our hearts.” But in order for God to perform on His promise to us, we have to be responsible with what He has entrusted to us. At Grace we believe that when we give God our best He will give the best back to us. We also understand that life can get busy, and sometimes we simply lose track or forget to put God first financially. We would like to help. Whether you'd like to give a single gift, schedule ongoing donations, or view your giving history, you can do it all online - it's quick, easy, and secure. You can set a recurring schedule to give your tithe, missions, or other gifts to Grace. You may use a check, debit card or credit card — whatever is most convenient for you. We trust that God will richly bless you and your family as you continue to put Him first.